Brian Lies was born in Princeton, New Jersey, and went to Brown University after high school, where he studied Psychology and British and American Literature. After graduation from college in 1985, he moved to Boston to study drawing and painting at the Boston Museum School (also known as the School of the Museum of Fine Arts, Boston). At the Museum School, Brian started getting paintings in exhibitions and won a few prizes, and then was able to get political illustrations published in the Christian Science Monitor and the Boston Globe. In 1989, he illustrated his first book, Flatfoot Fox and the Case of the Missing Eye, with Houghton Mifflin Company in Boston. 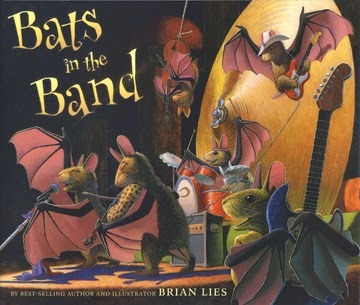 Since then, he has illustrated over twenty-five books, including the latest one, Bats in the Band, which he also wrote. 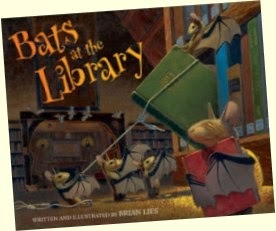 Other books he has written-and-illustrated include the New York Times bestsellers Bats at the Beach and Bats at the Library, Hamlet and the Enormous Chinese Dragon Kite, and Hamlet and the Magnificent Sandcastle. He lives in a seaside town in Massachusetts with his wife, daughter, and two cats. Brian writes about his dot, "The title of this one is "Make a Joyous Noise!," representing the sound version of making a Dot, creating music that pleases you, even if it’s not necessarily professional. Each of us has music inside, stemming—as a drummer I met recently told me—from our heartbeat. It can be viewed either this way or upside down, which I’d originally intended —except that when the bat’s inverted, you can’t understand its face as well, visually." Learn more about Brian on his website. 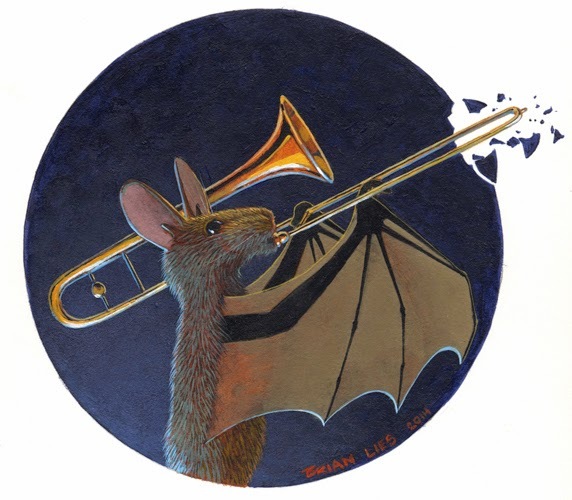 I am batty about your dot, Brian! Thanks for sharing your creativity with us!